Energy Casino’s Game of the Week Bonus is Back! This week’s featured game on Energy Casino is the Wild West inspired video slot, Mystery Jack created by leading casino game producer, Wazdan. This simple three-reel slot is anything but average! 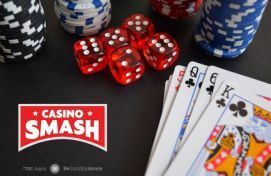 This video slot has a medium volatility level making it suitable for all types of betters, and has a great payout table without the added bonuses from Energy Casino’s promotion. So, what is the Game of the Week promotion? Just in case you aren’t familiar with details of this weekly offer, Energy Casino periodically chooses a new game where players can get 50% reload bonus on your deposit of up to €50! In addition to some redeemable cash, members also receive double Energy Points. Energy Casino players collect Energy Points by placing bets and playing games as a part of this online casino’s unique loyalty program. Act fast, because this offer ends on Sunday, January 15th! A Summer Cruise in Malta! Not an Energy Casino member? To find out more about Energy Casino’s featured games, ongoing promotions and more you can read our extensive casino review here. UK Player Leaves Royal Panda with More than Half a Million! Collect €100 a Week on 10Bet with these Bonus Codes!